Konvo Limited Australia's eCommerce platform set to disrupt the largest tech segment in history. It means a lot of people provide money to a business idea in return for a stake in that company. When the company grows, so does your investment. All you have to do is search, review, and decide which ones you want to back. Review a variety of investment opportunities from startups to established companies in a range of industries. You can build and keep track of your investment portfolio. Invest as little as $100 or invest up to $10,000 per opportunity, you choose your amount of shares. Safely invest anywhere anytime knowing your personal details are protected. We vet every idea and you should do your research too by reading each opportunity’s business plan and growth strategy. You just need to be over the age of 18 and be an Australian resident. 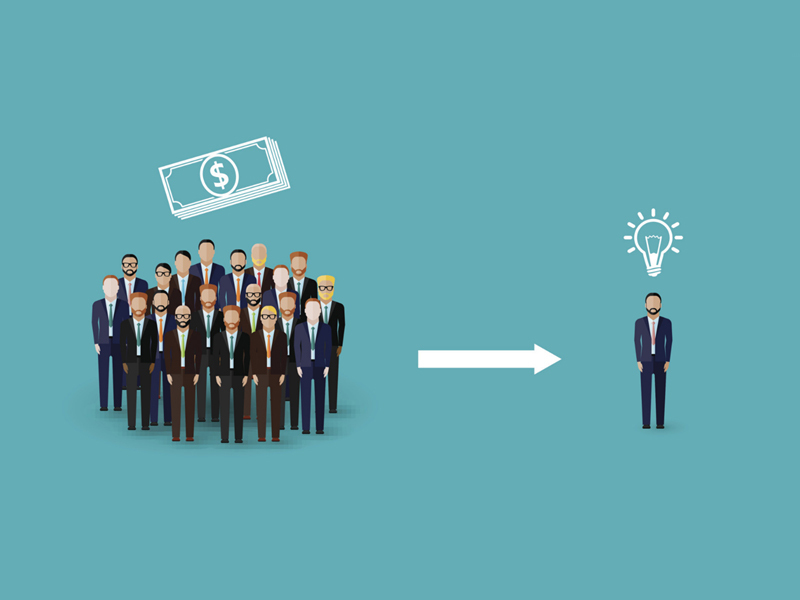 Equity crowdfunding is a modern way to start investing or to grow your portfolio. As with any form of investing, you should understand that there is always a risk of failure. Some of the most impressive innovations have come out of crowdfunding. Oculus Rift, one of the first VR headsets, received nearly $2.5 million in 30 days of crowdfunding. That very same company went on to be acquired by Facebook for $2 billion. * Reported by Equities.com in their article "$100 Invested in Uber in 2010 Would Be Worth Over $1 Million By 2015". How do I exit my investment or receive a return? Another business buys out the company, or part of it. The sale price is then divided accordingly between the shareholders. The company is listed on the stock exchange and offers shares to the public. Existing shareholders may sell their shares to the public at this point. If a company makes a profit, it may choose to pay a portion of this as a dividend to shareholders. Crowd-sourced funding is risky. Issuers using this facility include new or rapidly growing ventures. Investment in these types of ventures is speculative and carries high risks. You may lose your entire investment, and you should be in a position to bear this risk without undue hardship. Even if the company is successful, the value of your investment and any return on the investment could be reduced if the company issues more shares. Your investment is unlikely to be liquid. This means you are unlikely to be able to sell your shares quickly or at all if you need the money or decide that this investment is not right for you. Even though you have remedies for misleading statements in the offer document or misconduct by the company, you may have difficulty recovering your money. There are rules for handling your money. However, if your money is handled inappropriately or the person operating this platform on which this offer is published becomes insolvent, you may have difficulty recovering your money. Ask questions, read all information given carefully, and seek independent financial advice before committing yourself to any investment. You're one step closer to getting your share of the next big thing. Be one of the first to hear about upcoming pitches and opportunities to invest. If you’re ready to fund your business growth with a little help from us, get in touch. Don't worry, we'll protect your privacy by sending you a nondisclosure agreement first. Get sneak previews and the latest Crowdfunding news. Before investing in a crowd sourced funding offer, please consider our Financial Services Guide, the CSF risk warning and the Offer Document.